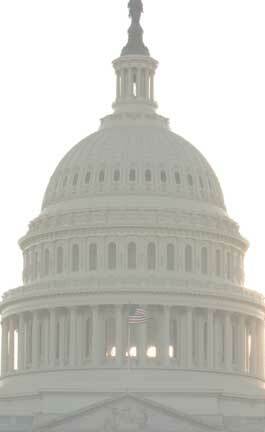 The GAI Certificate Program in Legislative Studies is designed for professionals who are currently working or planning to work in an executive branch department or agency; in a congressional staff position; with an interest group, law firm, or news organization; or others whose business or organization is affected by federal legislative or regulatory activities. The program provides individuals with the background and skills to become more effective in a wide range of interactions with Congress, as well as enabling individuals to better understand developments and actions taken in the legislative arena. It is especially useful for anyone whose current or future responsibilities involve participating in any aspect of the legislative process: helping to draft a piece of legislation; interpreting legislative history of a law; monitoring issues; tracking legislation; implementing regulations; or providing information in response to a request from Congress. The focus of the program is on congressional process, organization, and practices, and on the relationship between Congress and the other branches of national government. The format of the program provides a mix of classroom courses explaining how procedures, organizations, rules, and practices shape the contemporary Congress, with actual time spent on Capitol Hill meeting with Members of Congress, congressional committee and personal staff, journalists, interest group representatives, and other individuals who interact with the congressional policy process. As in all Government Affairs Institute courses, participants in the Certificate Program curriculum will have the opportunity to hear views from and exchange thoughts with academic experts as well as practitioners who have direct experience in various aspects of the legislative process.